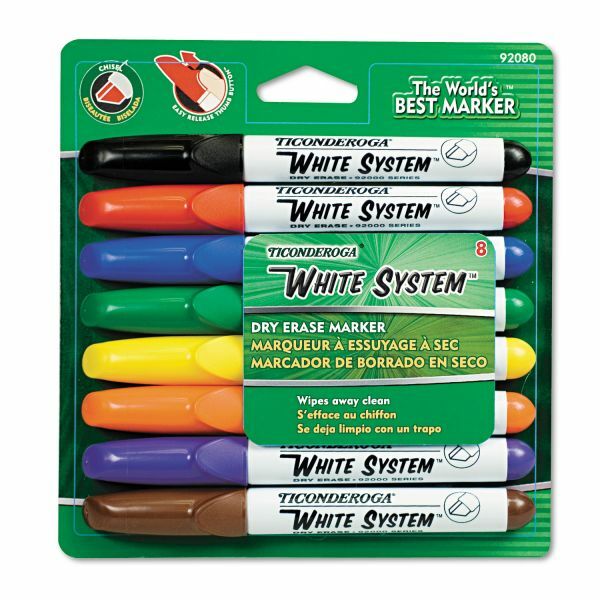 Long-lasting markers feature a Microban® antimicrobial finish. 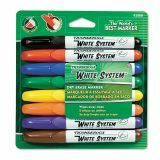 Ticonderoga White System Marker, Broad Chisel Tip, Assorted Colors, 8/Set - Use dry-erase markers for marking on white boards and most nonporous surfaces, including glass. Low-odor ink flows smoothly onto the surface and wipes away clean with a dry cloth or eraser. Ideal for office or classroom use. Markers have a large ink reservoir for longer use. Certified AP nontoxic.